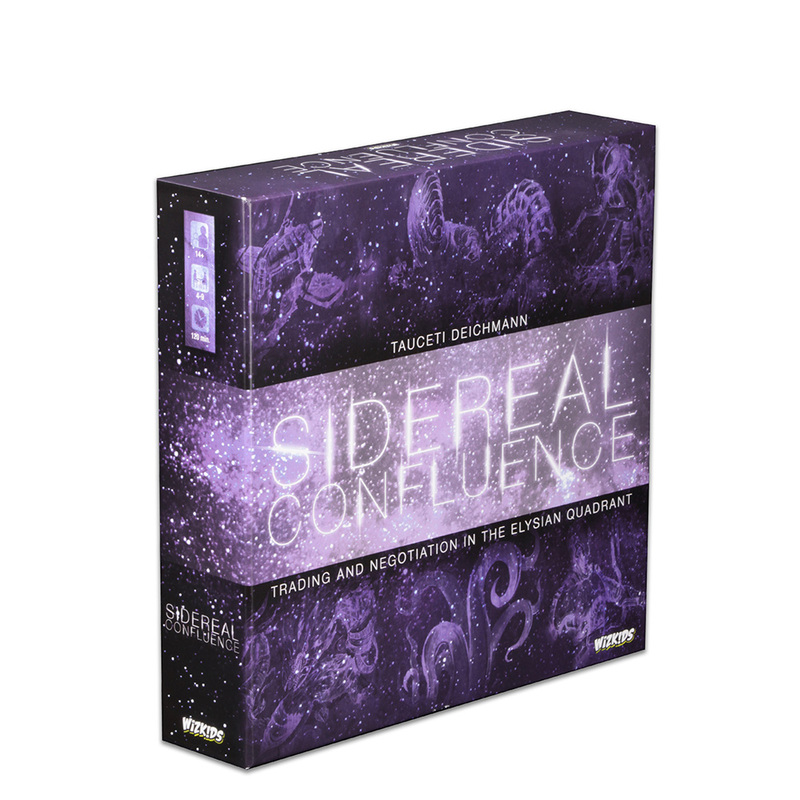 In Sidereal Confluence: Trading and Negotiation in the Elysian Quadrant each player chooses one of the nine unique and asymmetrical alien races that have come together to form a trade federation in their quadrant. 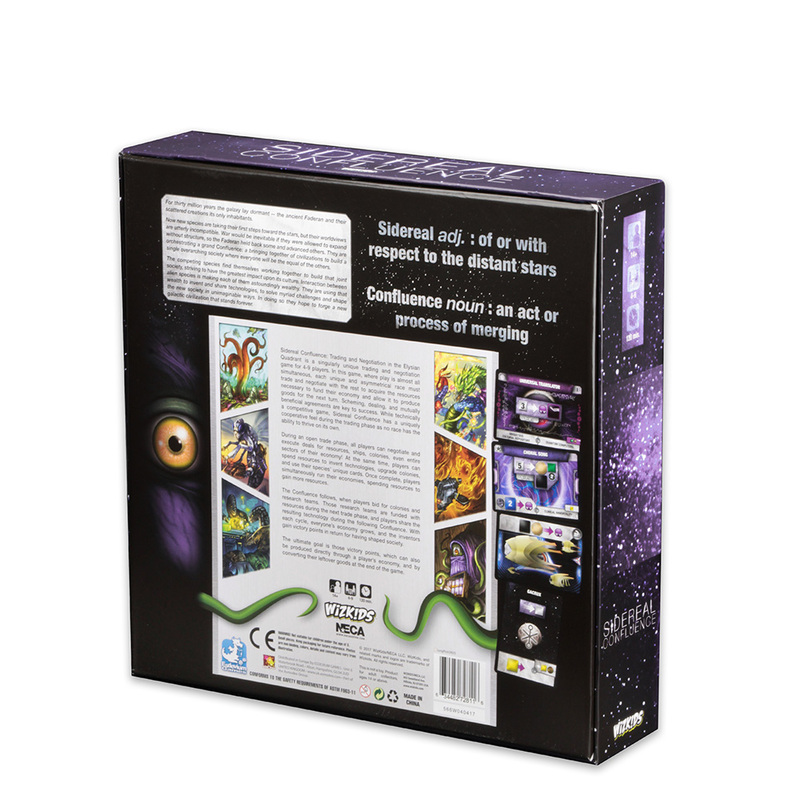 Each race has its own deck of cards representing all the existing and future technologies it might research. Some races also have other cards related to unique features of their culture. 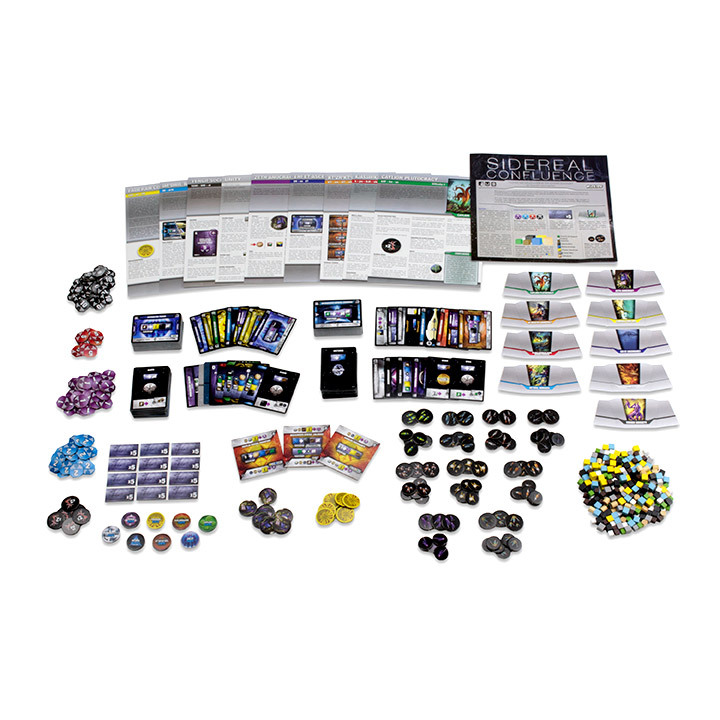 These cards represent portions of the culture’s economy and require spending some number of resources to use, resulting in an output of more resources, ships, and possibly victory points. Since each culture’s outputs rarely match their inputs, players need to trade goods with one another to run their converters to create the resources they truly need to run their society most efficiently and have an effective economy. Almost everything is negotiable, including colonies, ships, and all kinds of resources. 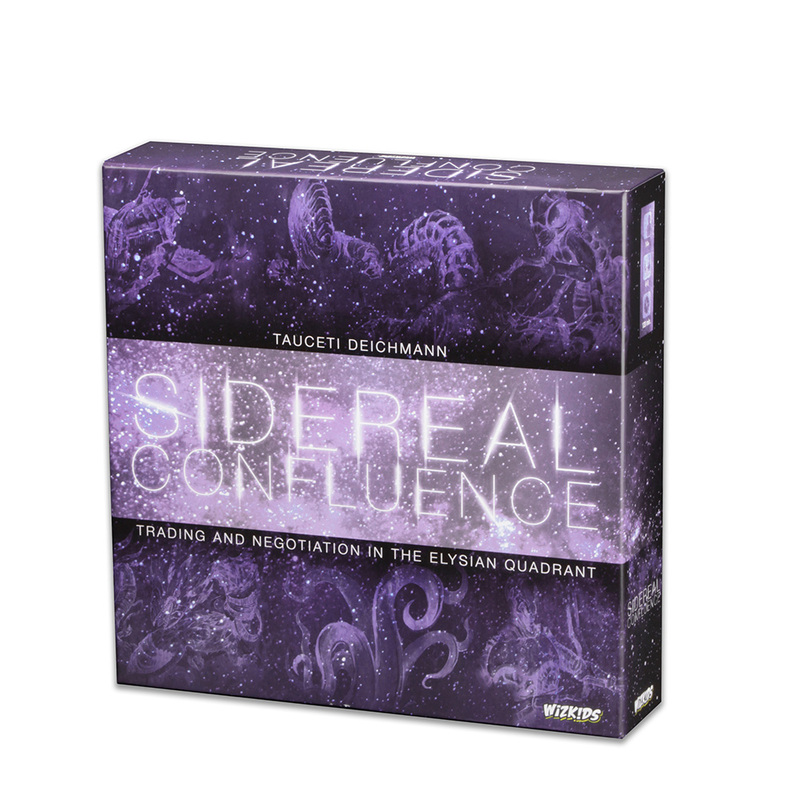 Each game round contains an open trading phase in which all players can negotiate and execute deals for resources, ships, colonies, even the temporary use of technologies! Players with enough resources can also research technologies, upgrade colonies, and spend resources on their race’s special cards during this phase. Once complete, all players simultaneously run their economies, spending resources to gain more resources. The Convocation follows, starting with players sharing newly researched technologies with all other races and following with bidding to acquire new colonies and research teams. Researching a new technology grants many victory points for the prestige of helping galactic society advance. When one race builds a new technology, it is shared with everyone else. Technologies can be upgraded when combined with other technologies.